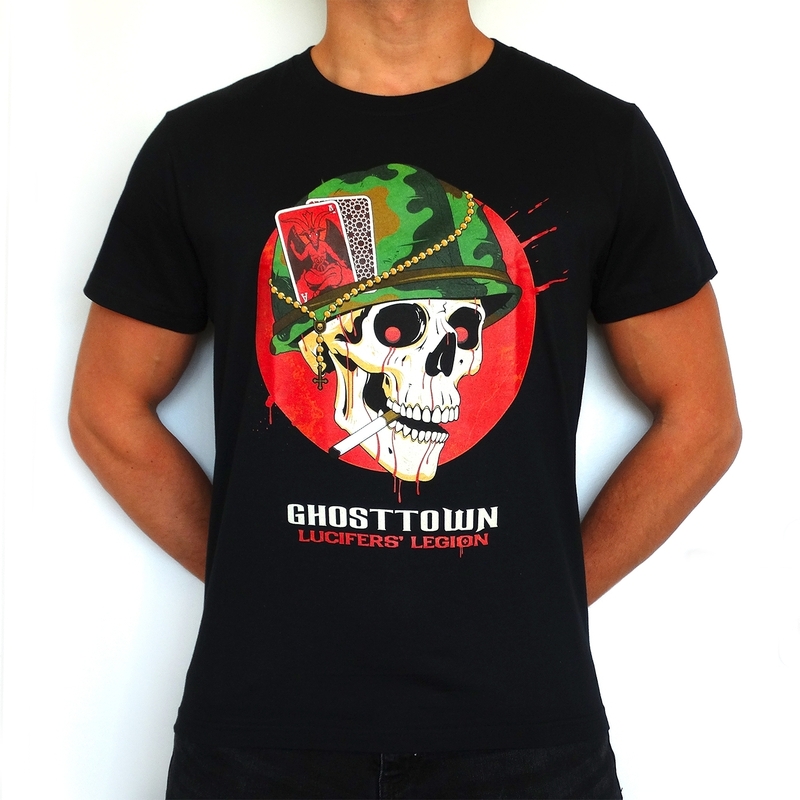 D2E Ghosttown 2017 T-shirt with a full color print of the ghost soldier on the front and the line up on the back. Produced for Dance to Eden. Only in M and L available!